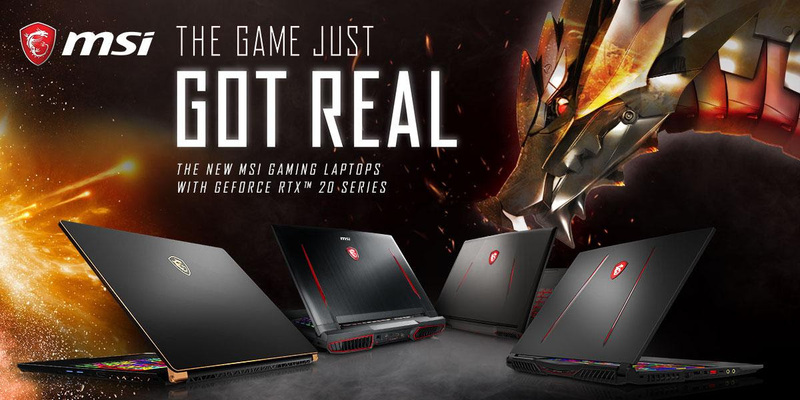 MSI has announced a slew of new gaming laptops at CES 2019. All packed with NVIDIA’s RTX graphics cards that delivers a new and unprecedented level of performance – a more lifelike and realistic gaming experience, immersion guaranteed. 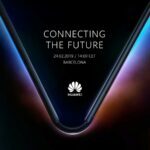 Now, they’ve finally revealed which ones will actually make it to the Philippine market. Let’s take a look. GT75 Titan 8SG: Top of the line. The flagship. GE75 8SF: For enthusiasts who want to play the latest AAA games. GL63 8SE: Bang for your buck. GS65 8SF-082PH Stealth: Exceptional on-the-go gaming experience. 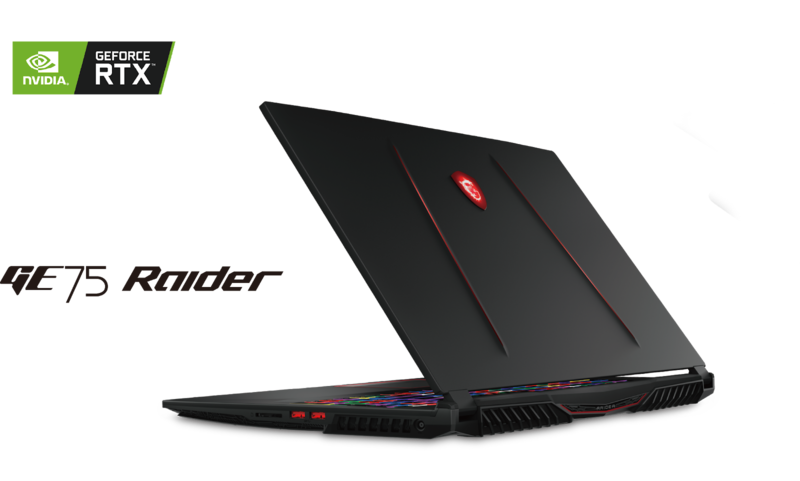 Gunning for a GTX-powered gaming laptop? 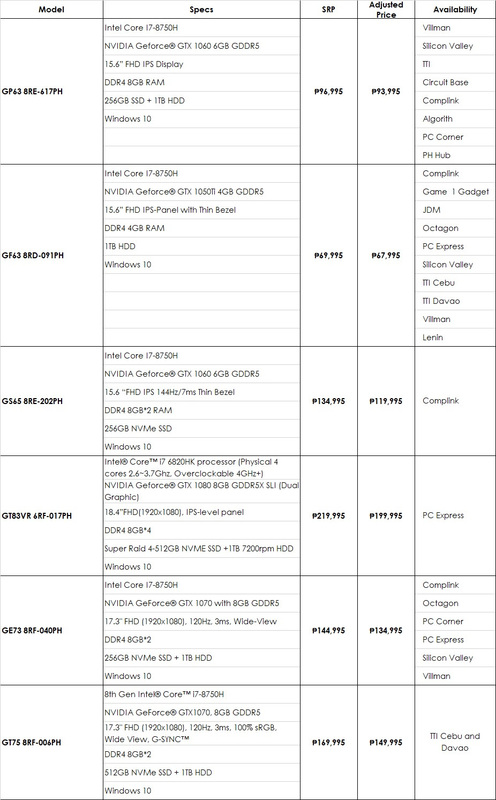 MSI has dropped the prices of select models! 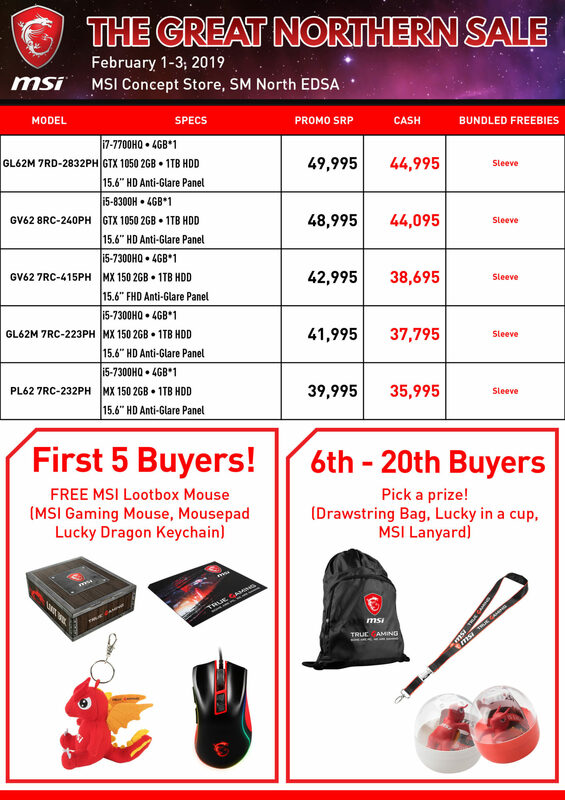 From February 1-3, MSI will also be participating in the Great Northern Sale at SM North EDSA. Visit the MSI concept store during the 3-day sale to avail of special discounts and freebies on select MSI Gaming Laptops!